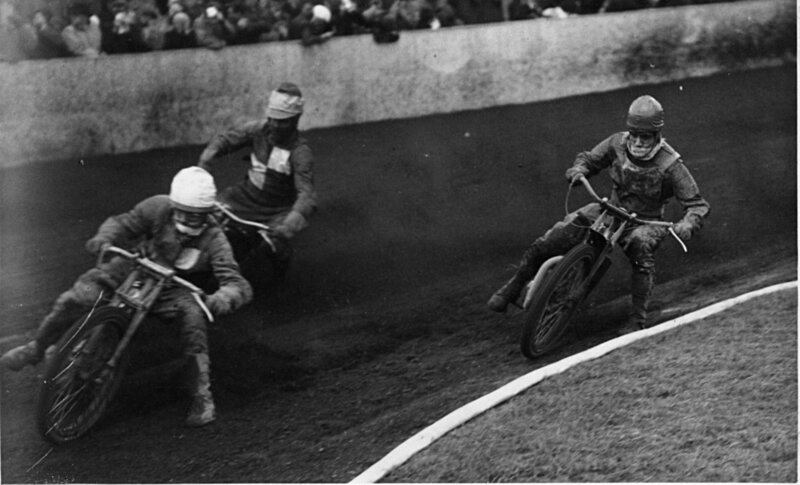 The venue for Speedway in Edinburgh pre-war was Marine Gardens in Portobello, but this was unavailable after the war. It took until 1948 for the sport to return to Scotland's capital at the stadium of Leith Athletic F.C. at Old Meadowbank. Ian Hoskins found the venue though he wasn't part of the promotion which eventually was responsible for the birth of the Monarchs. The first home meeting was on 17/4/48. We don't have many action shots from that year but the above comes from a match v Middlesbrough with Eddie Lack the Monarch on the inside. Can anyone identify the two Bears?